Brief Synopsis – After a high priced call girl accidentally killed a client who tried to attack her, her estranged patents try to get her committed to a mental ward instead of going to trial. My Take on it – I really enjoy movies that are adapted from fast moving fast speaking plays because I almost always find them engaging. This is not your typical courtroom drama because it mainly deals with a competence hearing instead of a trial itself. The dialogue is crisp and witty and there are scenes where the characters use lightning flash dialogue which makes it even more engaging. The cast here is almost perfect. Richard Dreyfuss is great as the defense attorney. The supporting cast includes Robert Webber, James Whitmore Jr., Maureen Stapleton, Eli Wallach, Karl Malden and Leslie Nielsen in his final dramatic role before he became known as a slapstick comedian with movies like The Naked Gun series. The one casting choice that I had a bit of trouble with was that of Barbara Streisand as the main character. She feels so wrong for the part, I can’t even explain why. When I heard that originally Debra Winger was cast, I knew instantly that she would have been much better for the role than Babs was. What I liked about this movie was the fact that it really tries to show us how the system deals with declaring someone competent or incompetent to stand trial. It really gives us so much to ponder because obviously there are situation where this way does work to the benefit of the suspect and others that don’t and it’s very hard to tell which is the best way by just looking at the surface of things. Either way, we are treated to a wonderfully written dialogue driven drama that revolves around the judicial system and psychological reasoning for trying a suspect or not. Bottom Line – Excellent dialogue that moves at a lightning flash speed. 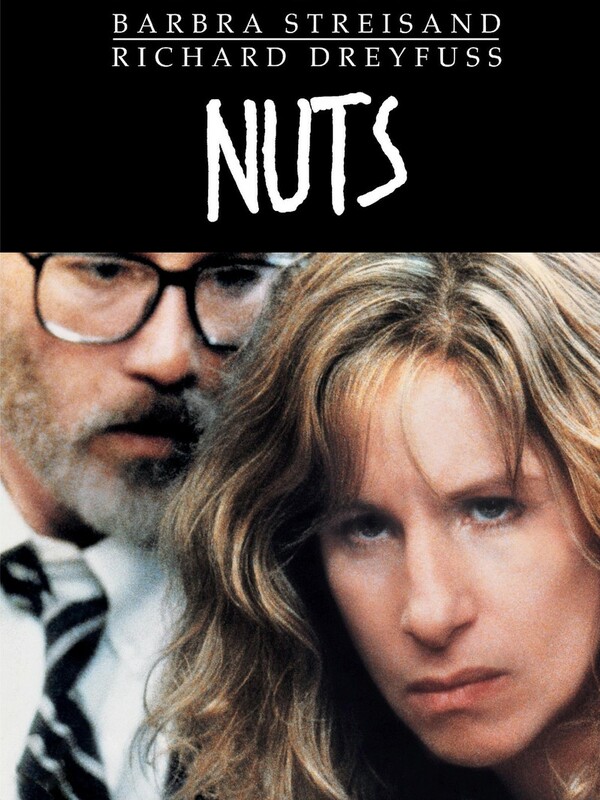 Dreyfuss is great as the defense attorney. Streisand feels slightly miscast here but still does a nice job. Amazing cast overall. Really makes one think about how people are declared competent or incompetent to stand trial. Recommended! I watched this on TV, and I think Streisand was brilliant here. Did she get at least a nomination for her great acting here ?